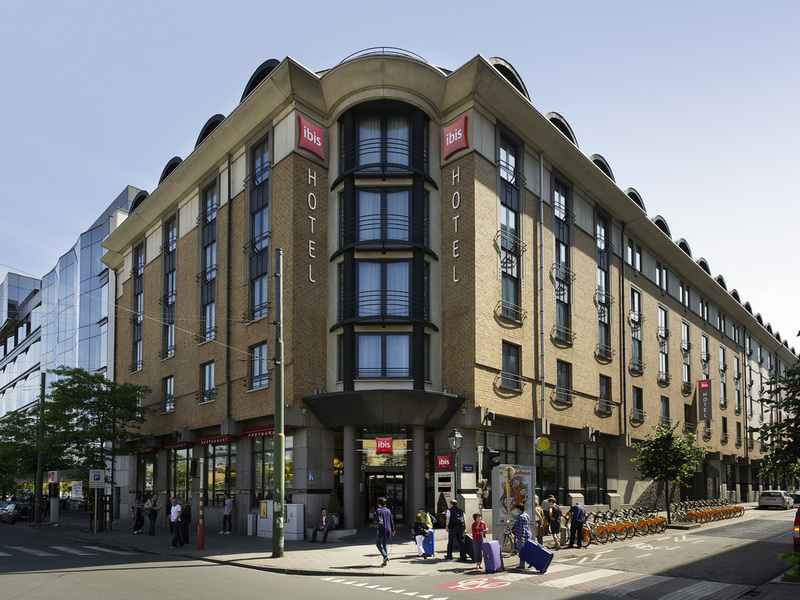 Welcome to ibis Brussels Centre Gare Midi, which is conveniently located near the international Train Station. Enjoy lunch or dinner at our restaurant with regional cuisine followed by a drink at The Bar while using our free WIFI. Arriving late or leaving early our fast check-in / out will be convenient for you, do not forget to treat yourself with a snack from our take away shop located near the reception. All rooms are spacious (24 m²), equipped with free WIFI, air-conditioning, private bathroom and a flat screen TV. Feel welcome to ask any questions regarding your stay to our staff; our guests rated our staff insights 8.2/10. On a business trip? We are located near The Square convention center (5 min by metro). The hotel offers rooms in 3 categories -double bed, double bed + 1 single bed, 2 single beds. All rooms are spacious ( 24 m²), bright, modern and feature private bathroom, free WIFI. Connecting and family rooms are available upon request. Each room comes with individual air conditioning, LCD TV. The bathroom is spacious and features shower and hair dryer. The hotel has several rooms for guests in a wheelchair and is 100% non-smoking. At The Bar, we serve local Belgian beers and our own ibis branded beer bottles together with finger food (pizza/chips). Exclusively during the summer, we also serve ibis flavored gin. Staff, both at reception & bar were extremely helpful. Premises are kept very clean and tidy. Thank you all for a very pleasant stay. Unfortunately district full of homeless and drug effected individuals. Downside I’d Brussels. I was expected nicer rooms from Ibis at the rate I paid. Breakfast is fine, the little inner garden for smokers or to have a drink is a plus, personnel is dedicated. However, rooms are a bit old and I had some traces of gluing juice (or sodas?) or my table and over the night table desk. The location of the hotel was very convenient because it's near the main train station. The room was well-lit and organised. Complete bathroom amenities and secured lock door system. Friendly and approachable staff. Overall, 10/10! Would love to come back again. I always enjoy IBIS The steps before reception need a ramp. I've stayed here on a number of occasions and it is always an extremely satisfactory experience. A well positioned hotel for the Eurostar. Although a large hotel, it appeared to work with very little difficulty on check in on Sunday night to departing on Monday morning. The lifts were always available. The room was comfortably furnished. The local area being near the station was somewhat down market but the local cafes were inexpensive as a result. Ideal location for station. Rooms good. Pleasant. Good help at reception and a nice room. Great location for the one night when arriving late in to Brussels. Not the nicest area, but staff friendly and hotel is clean and comfortable. Close to midi station for our trips to gent, Bruges, Antwerp. The hotel was full. The staff were very nice, but unfortunately, there was a bad smell in the room and nowhere free to move to.